Every couple dream of having a romantic vacation. Philippines should be on your list. But is there any other place in this archipelago than the famous and prestige Boracay? Easy access to untouched islands and pristine beaches for a cosmopolitan destination is Cebu’s trademark. Despite being regarded as a bustling city like Metro Manila, Cebu barred it as it has the most numbers of resort and spas in the country; and one of the Philippines’ top tourist spots all year round. Hotel resorts are widely visited by couples who enjoy spending their time together through relaxing in the quiet and soothing pampering offered by these hotels’ in-house spas. With the range of selections, from luxurious to budget friendly accommodations, Cebu is truly a perfect romantic destination. Besides its famous Chocolate Hills and Tarsiers, Bohol is one humble romantic getaway, especially to couples who have a heart for nature and thrilling adventures. Bohol beaches are more laid back, as compared to other more popular beaches in the country, which give couples a more intimate time together and maybe have a romantic dinner near the shore. 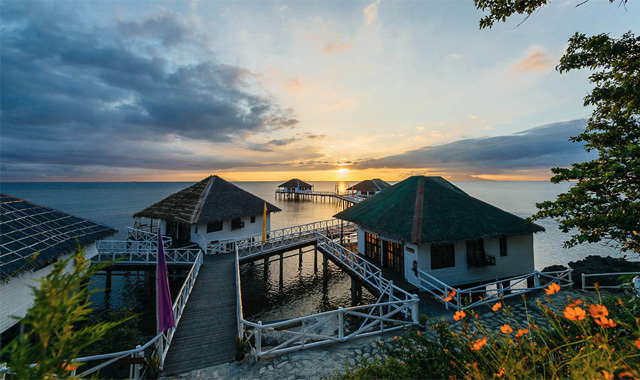 Without having to travel too far from Manila, Batangas is an accessible getaway, with romantic spots and activities to compete with the farther regions from the Metro. Aside from your typical dinner, waiting for the sun to shine or set with the one who owns your heart is a very intimate moment everyone wants to experience. In Batangas, you may camp out near the summit of a mountain—Taal, Batulao, and Maculot to name a few—which are all within your skills, to watch the sun rise through the clouds. This too is a near destination for people from the Metro. But you’ll be surprised how its air is never contaminated by Manila’s pollution. And the cool wind that bites through your skin? A good excuse to get all cuddly with your loved one, whilst having a panoramic view of the Taal Lake and Volcano. But a more ideal escape for most lovers would be Sonya’s Garden that blends in a unique combination of English and Asian cultures, covered by rare flowers. Share quiet moments while being served an excellent meal and get a refreshing massage. The summer capital of the Philippines has been bombarded with local and foreign tourists, yet it still remained on the top notch of romantic getaways. Also proclaimed itself the City of Lovers, Baguio made sure their title will not be put to shame. Now, when it comes to a particular destination in the city, The Manor Hotel in Camp John Hay has got to be the most romantic. It is not only an inexpensive getaway; its pine tree-lined roads and fine landscaping are a perfect unwinding location for couples. Palawan has many romantic retreats on its list, thus making it the top choice. An unassuming destination yet has more than enough to offer, it guarantees all lovers’ seclusion within private islands. 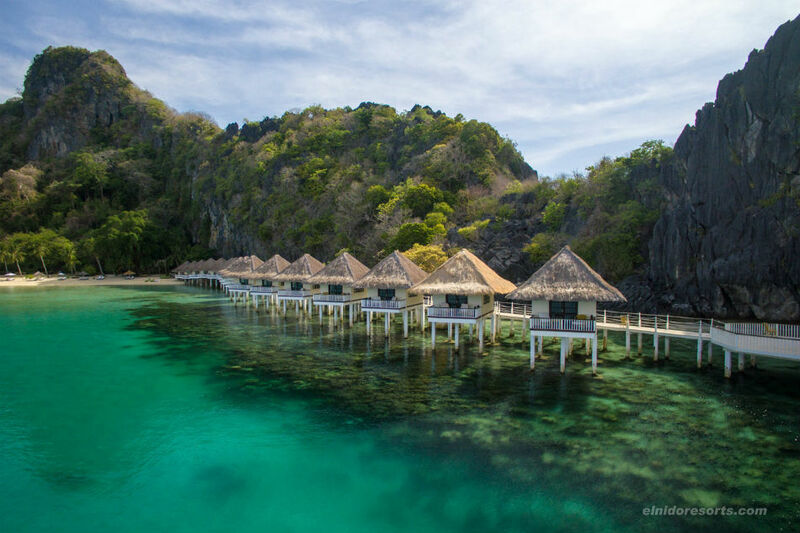 Two names stand out when Palawan speaks of its romantic places: El Nido and Amanpulo Resort in Pamalican Island. And while both are perfect getaways for lovers, each suggest a whole different budget. El Nido, with its turquoise waters, white sand and limestone formations and a number of accommodations available, it is certainly a romantic and affordable getaway. Amanpulo on the other hand is one the Philippines’ most luxurious destinations. However, it is certainly worth your money for it provides exclusive privileges such as enjoying the privacy of having the entire island all to yourselves. Amanpulo is also a popular getaway to for newlyweds. Are we missing a romantic spot? Tell us below.